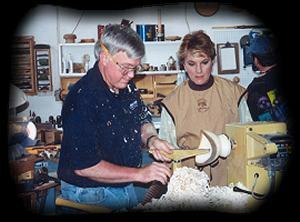 Nick Cook has been featured in several articles in the Atlanta Journal-Constitution and has written many articles for the American Woodturner and the Woodworker's Journal. Here are just a few articles and useful papers that Nick has put together. Please check back as additional papers will be added to this page in the future. *Reprinted with permission from American Association of Woodturners. If necessary, download Adobe Reader to view these articles.